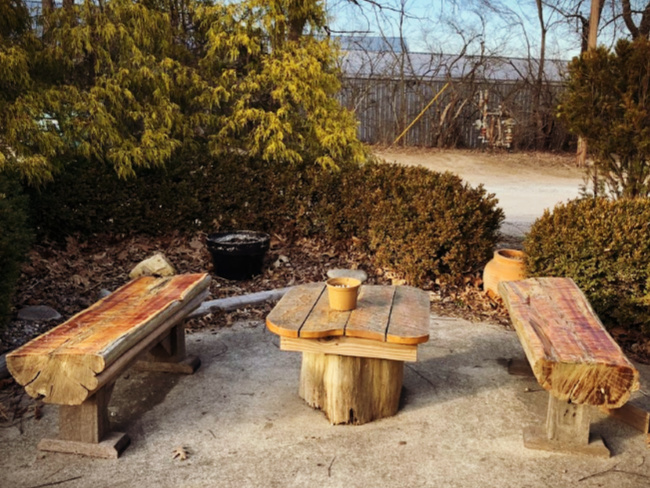 Recently we visited 3rd Turn Oldham Gardens just outside of Louisville, Kentucky and immediately loved the place and their brews! We spent a few hours there tasting their craft brews, dining at the Backside Grill and playing board games with the kids. How we arrived at this off the beaten path brewery is a little bit of a tale. The boys had a robotics tournament in Carrollton one weekend in February. We decided to make a mini vacation out of it and book a hotel so they could go swimming and we could relax for a couple of days. Well…upon arrival at our hotel in Carrollton we realized the pool was out of order and that put a crimp in our plans. I started googling nearby restaurants and breweries and realized the closest breweries were in Indiana! 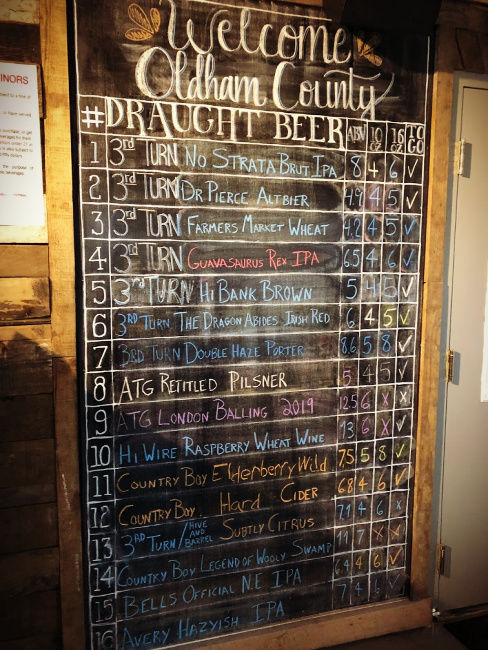 Unfortunately, Indiana has strict rules about kids in breweries, so we decided to make the nearly half hour drive to Crestwood, Kentucky to check out 3rd Turn Brewing’s Oldham Gardens. We were so glad we made this trek! 3rd Turn Oldham Gardens is the sort of place I would love to have in my neighborhood. It was a little chilly when we visited 3rd Turn so we didn’t get to enjoy their outdoor spaces, but they looked very inviting and charming. We decided that we need to stop by 3rd Turn next time we are near Louisville in the warmer months so we can enjoy the outdoors. 3rd Turn had a great selection of their own brews and a few other craft beers to choose from. 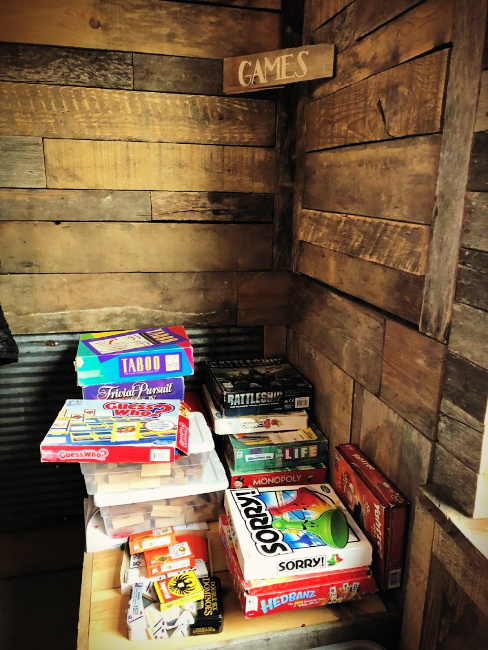 Playing games at breweries is one of our favorite things to do, and I love it when a brewery has a good selection of games to choose from! We brought our own with us this time around, but if we had been empty handed we would have had plenty of games to choose from! 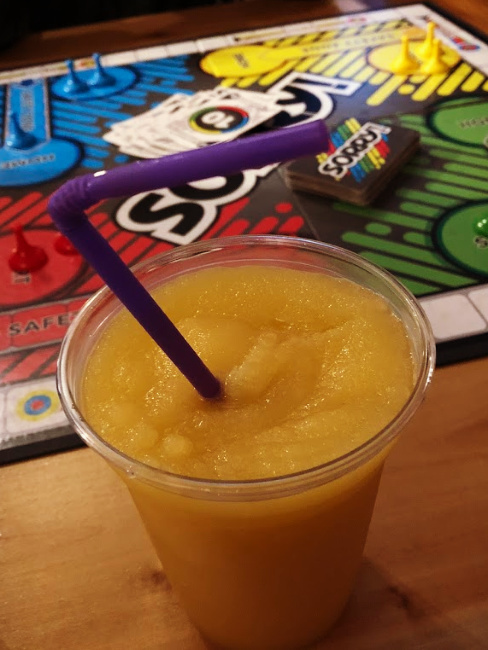 Top off your visit to 3 Turn Brewing with a delicious slush! 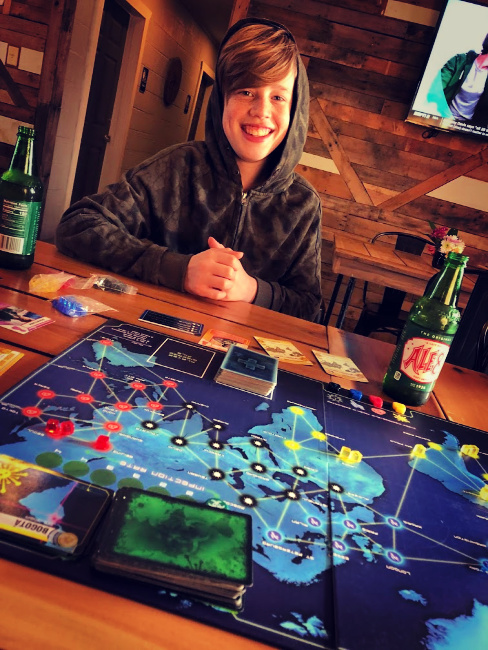 Nothing makes the kids smile like finding Ale8One at a restaurant or brewery! 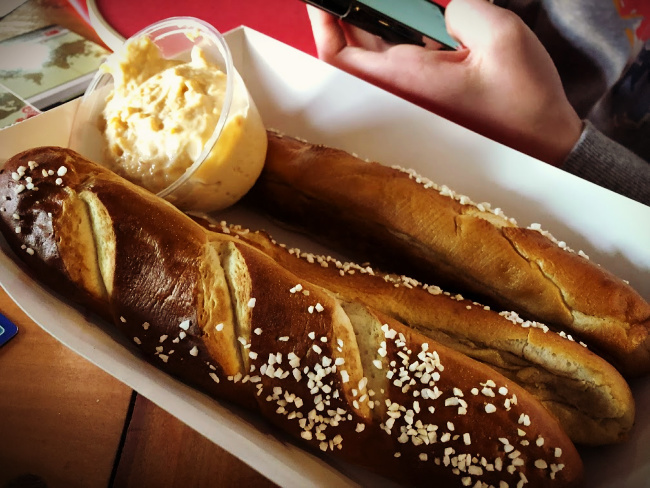 Come hungry to 3rd Turn Oldham Gardens, because they have an in-house restaurant, the Backside Grill, that has some ridiculously delicious food. 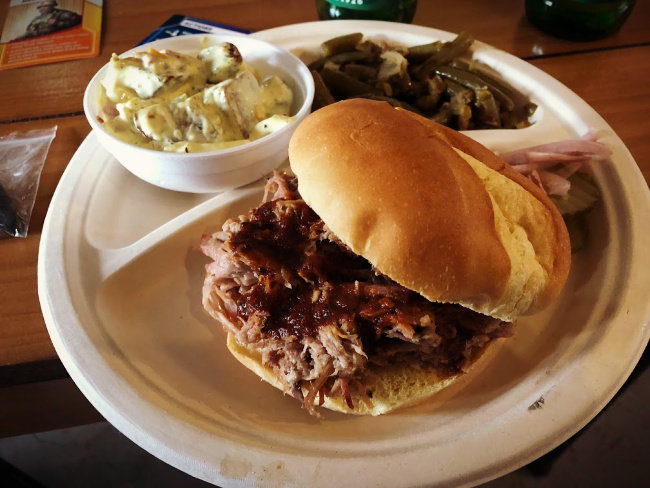 They have a variety of smoked dishes…smoked pork, smoked brisket, smoked chicken, and more. They offered up some fine home cooking! 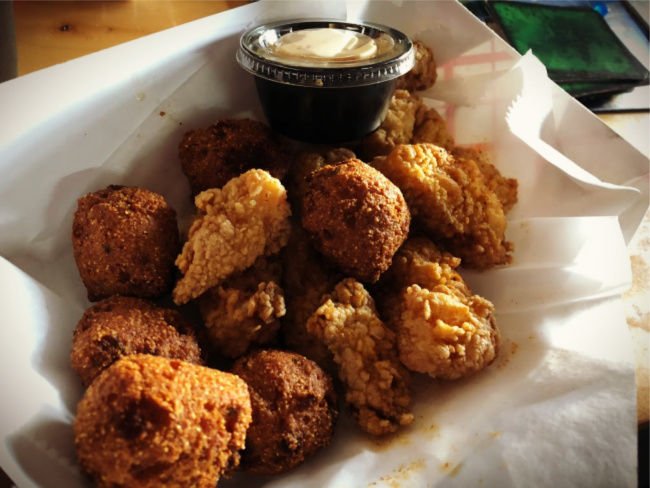 Along with their regular menu Backside Grill offers up specials as well and when we visited they had fried fish and hush puppies that were so good! 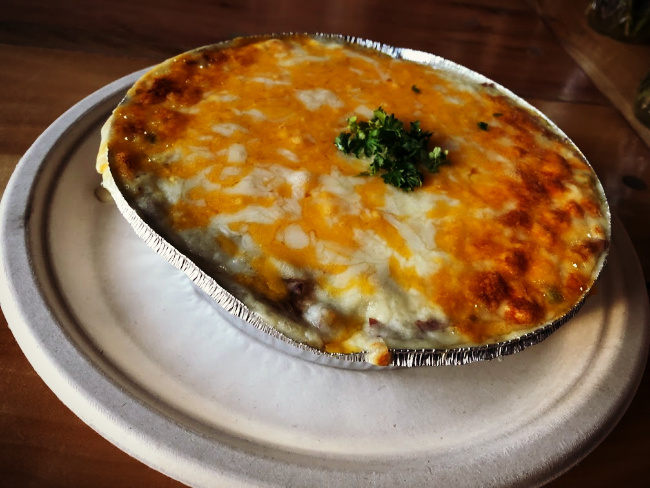 Another special that weekend was Sheppard’s Pie and it was out of this world! All of the food was tasty and made for a very hearty meal. 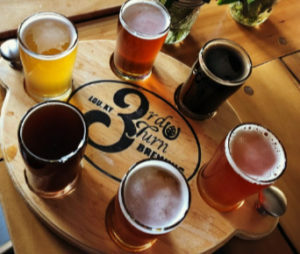 If you find yourself in Louisville, or on your way to Louisville and have a hankering for a great craft beer and home cooked food then stop by 3rd Turn Brewing Oldham Gardens in Crestwood, Kentucky! 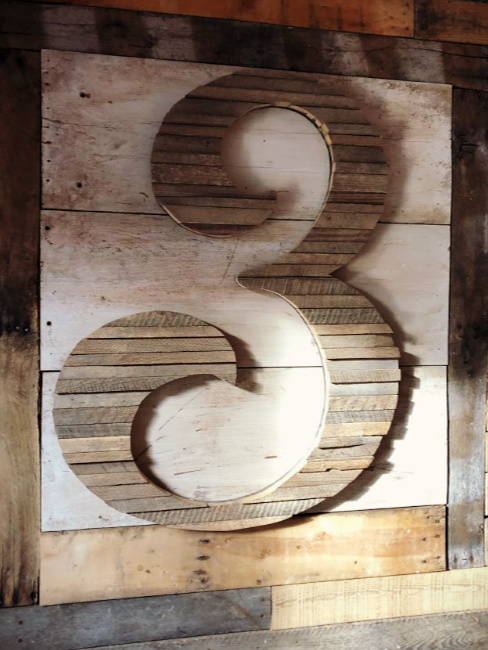 Find out more about 3rd Turn Brewing Oldham Gardens on their website. And read more about breweries we have visited in my Brewery Archives.